"I maintain that truth is a pathless land , and you cannot approach it by any path whatsoever, by any religion, by any sect. 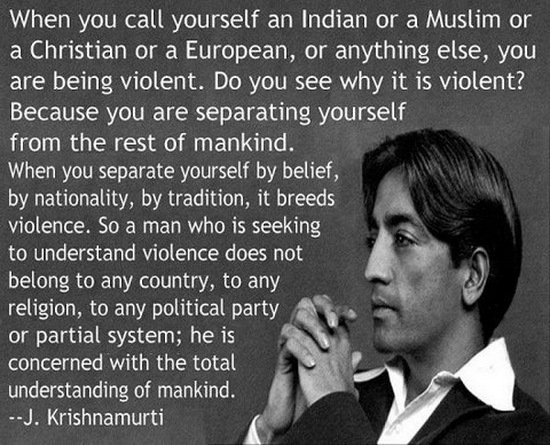 That is my point of view, and I adhere to that absolutely and unconditionally. nor should any organization be formed to lead or coerce people along a particular path." Suffering itself frees man from suffering." "You may remember the story of how the devil and a friend of his were walking down the street, when they saw ahead of them a man stoop down and pick up something from the ground, look at it, and put it away in his pocket. "Oh, not at all," the devil replied, "I am going to help him organize it." But most of us have not that sense of beauty in our lives. We may be great artists, great painters, expert in various things, but in our own daily life, with all the anxieties and miseries, we live, unfortunately, a very disordered life. You may a great scientist, you may be a great expert in a subject, but you have your own problems, struggles, pain, anxieties and the rest of it. We are asking, is it possible to live in complete order within, not impose discipline, control, but to inquire into the nature of this disorder, what are the causes, and to dispel, move away, wash away the cause. Then there is a living order in the universe." Dad = Jiddu Narayaniah, a clerk in the colonial revenue collections office. Surya in bhava-3 clerk, administrator. He joined the Theosophical Society in 1882. Following retirement from the government service in 1907, dad worked as a records manager at the Theosophical Society offices when K was 12 years old. Mr. Jiddu gave lectures; tended his vegetable garden; and relaxed with friends, funded by a financially privileged organization which continued to hold him up as a World Teacher -- despite his vigorously denouncing this role . An aristocrat, K certainly never had to work in the conventional sense of the term. Mom = Jiddu Sanjeev-amma a traditional Brahmin householder mother. 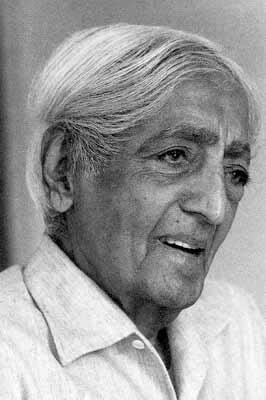 Of her 11 childbirths, Jiddu Krishnamurti was her 8th offspring (thus named for Krsna). Mr. Jiddu wrote (mainly co-wrote) and published more than 50 books and articles, consisting primarily of transcripts of his philosophical dialogues with other thought-leaders. He conducted decades of popular evening lectures in Anglophile venues worldwide, and nearly all of these have been recorded. In addition to his extensive reflective content of a personal nature, he also wrote a small number of logically argued philosophical essays. However the vast majority of his output = conversation transcripts. 1922 When Nitya contracted tuberculosis, they moved to Ojai California seeking hot dry air for a cure. A cottage was built for them, and this became Krishnamurti's home base for the rest of his long life. Jiddu Nitya died in 1925, when K was age-30 during K's Zukra-Guru bhukti. Abdication speech dissolving the Order of the Star = "truth is a pathless land" .Rejected occult study, authority figures, and ceremonial religion as paths to truth. His primary western handler Ms. Annie Besant had become senile (Shani) and she did not recognize that Krishnamurti had effectively ended the organization as she had designed it. Rahu in bhava-1 * in swabhava of Competitive Kuja, the Shadowy Specter seeks privilege via glamorous, exotic, or mesmerizing physical visage extraordinary athletic movement, Craves an identity of exceptional appearance, exhilarating energy, championship. Seeks social mobility via vital, dynamic muscularity. Exciting, opportunistic, ambitious conditions of Earth-birthh. A fascinating figure. May become a focus of a cult of personality. Teenage Krishnamurti, until now protected by his family and his handlers, is appointed leader of the Order of the Star in the East by the institutional leadership, Annie Besant. His English management team tried to arrange his admission to both Oxford and London universities but K failed the entrance exams. K was too young and academically unprepared, while and his managers were viewed in many circles as hoaxy frauds (Rahu). Still there was a movement to be developed and money to be made (Rahu). There were many believers and many large donations. Private tutors were hired and life went on. Dec-1910 publication of At the Feet of the Master (K's age 15) written when Krishnamurti was only 15 and promoted as his own work. As commentators have noted, a fifteen year old not well accustomed to formal English could hardly have produced such a masterpiece of succinct wisdom and mature advice. Clearly it was written by an adult with a promotional goal in mind. Modern linguistic analysis shows that it is the writing of Leadbeater. 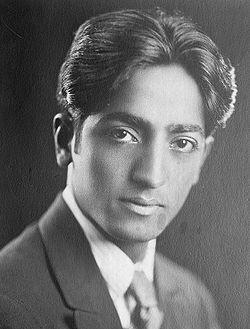 Nevertheless it sold fabulously under Krishnamurti's purported authorship, and soon the book was hailed as a cornerstone scripture of the Theosophical movement.